Oliver Schöffski (born in 1961) received his Diplom in business studies from the University of Hanover in 1990. The following year he completed a Master of Public Health at the Hanover Medical School. He earned his doctoral degree in 1994 and his habilitation in 1999 at the University of Hanover. Until October 2000, he worked as a research associate at the Institute for Insurance Business Management and as managing director of the Research Center for Health Economics and Health System Research at the University of Hanover. Professor Schöffski has been Chair of Health Management at Friedrich-Alexander-Universität Erlangen-Nürnberg (FAU) since 2000. His research and teaching activities focus on the economic issues of healthcare systems, such as health economics evaluations of innovative measures in healthcare, modeling, budget impact models, optimization of processes in hospitals, new forms of care and payment in outpatient care, functionality of hospital insurance systems, and integrated care. 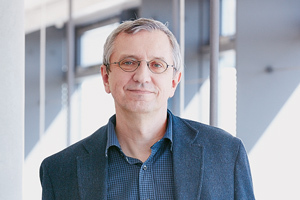 Professor Schöffski is the initiator and program co-ordinator of the Master’s degree program in Health Management and Health Economics (MiGG) and two professional development programs for healthcare professionals. Patients' views on the impact of multi-drug-resistant bacterial microorganisms (MDRO) in end-of-life care - A qualitative study using principles of Grounded Theory. Public release of hospital quality data for referral practices in Germany: results from a cluster-randomised controlled trial. Wie viele Ärzte arbeiten in der Pharmaindustrie und welche Funktion üben Sie dort aus? Zukunftsvisionen des ambulanten Operierens am Beispiel der Kardiologie.